RiversEdge West can accept donations, memberships, and/or gifts in the form of cash, check, credit, stocks, vehicles and other appreciated securities. Your gift will ensure that rivers are protected now and long into the future. A gift of any amount is appreciated. Consider a gift to RiversEdge West in your will or trust to support a cause that is important in your lifetime. One of the simplest ways to leave a lasting impact that reflects your values and leaves a positive message to your family and the world is to designate RiversEdge West as a beneficiary in your retirement plans, investment accounts, life insurance policies, or bank accounts. When you donate stock or mutual funds, you may receive an immediate tax deduction and savings on capital gains taxes. Other ways to designate a gift to RiversEdge West include having your attorney insert the following into your will or trust: “I give to the RiversEdge West, in Grand Junction, Colorado (insert written amount of gift, percentage of estate, or residuary of estate of description of property).” If you would like to add RiversEdge West into your existing will, an addendum, or codicil can be added inexpensively if you would like to make this change. If you have already included RiversEdge West in your will, please let us know. 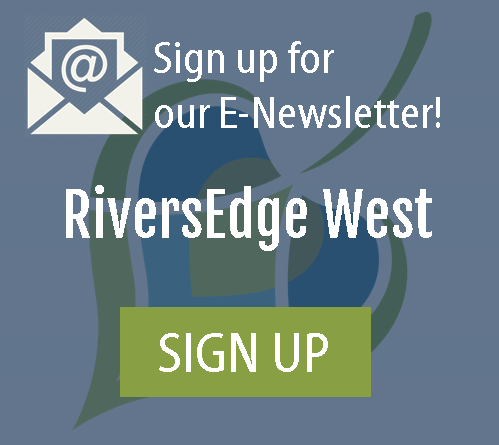 With your permission, we would like to include you in our River Legacy Circle, a special group of donors who have informed us that their estate planning includes RiversEdge West. For more information on any of these giving options, please contact our Executive Director, Rusty Lloyd at rlloyd@riversedgewest.org or call 970-256-7400. RiversEdge West is a not-for-profit organization. It has been granted a federal tax exemption under IRS Code Section 501(c)(3), our tax ID number is 27-0007315.